← Park and shop…..2012 version. By the way, below is a picture my friend took of me playing one of the holes yesterday. I was having such a good round that people started to gather around to watch me play. As you can tell, I haven’t been using my sunscreen. 20 Responses to Still the best……. I love golf. I learn new curse words this way. You’re one of those glass is half full people, aren’t you, Barb. I’ve never understood the allure of golf, but I’m delighted to see you’re coming out of your slump after that whole car-accident-affair-bad divorce-losing golf matches debacle. Wait…that was you, wasn’t it? Good gosh, I just realized I published the wrong picture. Wonder how that happened? So true, Pseu. If we had any sense, we wouldn’t be golfers would we? I’m not. Does that make me sensible? It certainly means you have no masochistic tendencies. Oh Al, you really need to use sunscreen, judging by your coloring in the photo I would suggest 50+. Shall we call you Tiger from now on? Beats Neanderthal. Besides, you don’t have red hair. 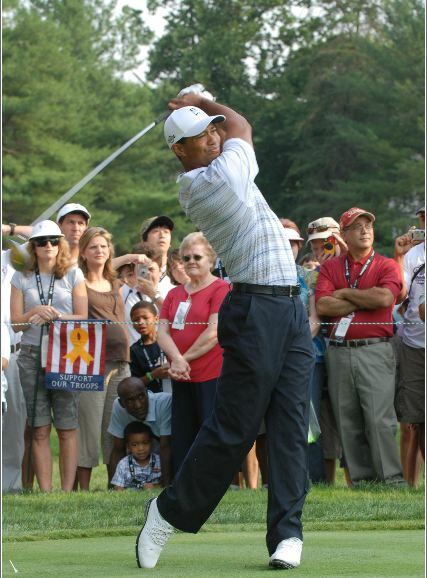 You forget, Tiger behaved like a Neanderthal just a couple of years ago. Your world sounds like just the kind of world, with just the kind of values which I would enjoy inhabiting. That you would like it too comes as no surprise to me. I could fill your ears with roaring tales of my golfing triumphs which are the more enjoyable because they are so unexpected. Normally I play well below the standard which can be displayed without a deep sense of embarrasement but sometimes, for no reason I can tell, the gods are with me and I have a round filled with golden memories and a reasonable score. It makes the pain worthwhile. Golf is certainly not for the faint of heart, wouldn’t you agree, ducks? It can humble one quickly. I’ve heard that somewhere before….hmmm…..oh yeah, my dermatologist.